Free shipping. Buy direct from HP. 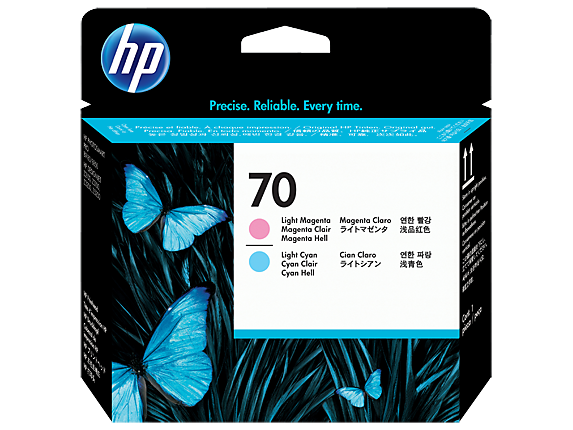 See customer reviews and comparisons for the HP 70 Light Magenta and Light Cyan DesignJet Printhead. Upgrades and savings on select products. Print quality and reliability are optimized with intelligent technology built into HP printheads.Original HP printheads with built-in intelligent technology enable fewer interruptions.Avoid downtime with the legendary quality and reliability of HP. Print quality and reliability are optimized with intelligent technology built into HP printheads.Built-in intelligent technology provides timely alerts when supplies are low.Replaceable printheads are easy to identify and install. See stunning detail and vivid color.Print quality and reliability are optimized with intelligent technology built into HP printheads.